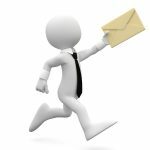 We can provide you with competitive driveway cleaning quotations from a database of paving cleaning companies around the UK. 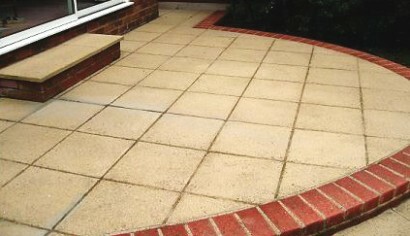 Whether you are looking to clean your driveway, patio or footpath, this service is completely FREE. Everyone admires their new driveway when the installation has just been completed but practically all driveways will deteriorate with use and the effect of the sun’s ultra violet light. 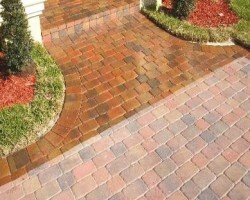 However, most faded and worn driveways can be rejuvenated and brought back to their best with the correct products. Whether you are cleaning and sealing block paving, cleaning and sealing pattern imprinted concrete or carrying out tarmac restoration on your driveway, Paving Prices can help by providing competitive driveway cleaning prices. 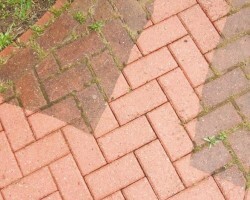 Concrete block paving has coloured pigments in the concrete mix which tend to fade over time due to weathering and use. 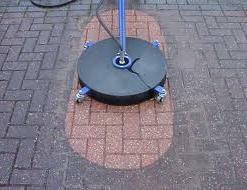 Sealing block paving enhances its colour, helps to reduce fading and prevents further staining from spillages. Sealing the blocks also makes it easier to clean the surface of the blocks and reduces the growth of weeds between the joints. Block paving can be cleaned with soapy water and a stiff brush but you should avoid using a power wash as this will remove sand from between the joints, allowing movement of the blocks. Block paving cleaning solutions are available to deal with staining but specialist block paving cleaning companies will normally achieve a better result with the use of a rotary washer. To achieve a finish to the surface of the block paving close to that when they were first installed, the blocks should be thoroughly cleaned, allowed to dry then sealed with a urethane block paving sealant. Sprayed on to the block paving, urethane sealant penetrates the surface of the blocks to make them water resistant and to prevent staining. Water-based sealants however, tend only act as a colour enhancer. Efflorescence is the term given to is the white dusty patches which can appear on the surface of block paving just after installation. Also known as white bloom, it is a natural chemical reaction between lime in the (cement of the) blocks, water and carbon dioxide in the air. 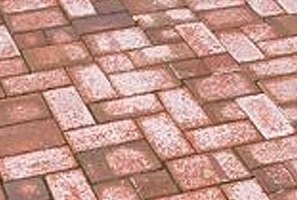 Efflorescence tends to disappear if the blocks get wet and then re-appears as they dry out but it has no detrimental effect to operational use of the block paving and it is not a manufacturing fault. All attempts to clean efflorescence from the surface of block paving will generally be temporary as it tends to return as the blocks dry. Efflorescence will disappear in time however as the chemical process which forms it, eventually stops. Solvent-based, microporous acrylic sealant should be applied to new pattern imprinted concrete to protect the surface from being gradually worn away. Instead of the concrete taking the impact of car tyres and British weather, the hardened sealant acts as a protective coating. Effectively, the sealer becomes a sacrificial layer for the concrete beneath. Eventually though, the sealant itself wears thin and needs to be replaced every three to five years. If sealant is not replaced, the concrete will be exposed to wear, it will fade and the surface can start to break up. When acrylic sealant is first applied to pattern imprinted concrete, the surface of the concrete has a shiny appearance as though it is still wet but this will disappear in time to provide a matt effect. Before pattern imprinted concrete can be resealed, all traces of dirt, algae and the old sealant should be completely removed otherwise the new sealant will not bond to the bare concrete surface. A mild acid wash is used to remove old sealant and the concrete must be allowed to dry completely before new sealant is applied. 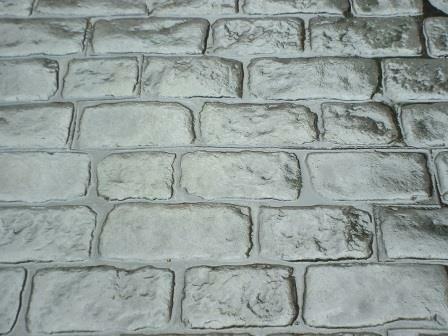 New acrylic sealant is sprayed onto the pattern imprinted concrete in several thin coats. If the driveway is on a slope, small particles of micro-polyethylene plastic can be added to the sealant before application, to provide additional grip. 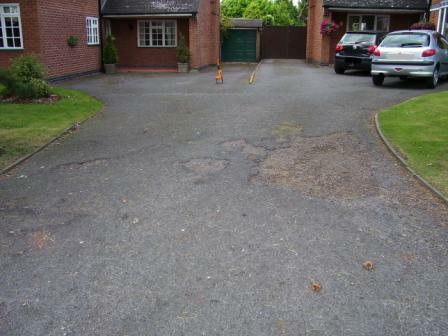 Over time the surface of a tarmac driveway will fade, become more brittle and can crack in places but Driveway Cleaning can help this. This is due to use, the sun’s ultraviolet light and the tendency for natural resins in the tarmac to dry out. It can however be restored back to a more acceptable and consistent colour by applying tarmac restorer. 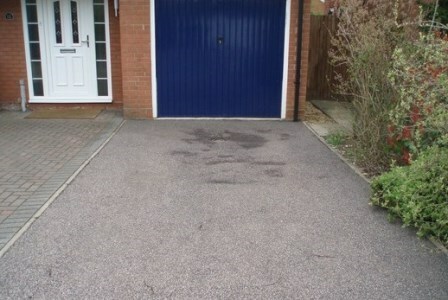 Tarmac restorer is also known as tarmac paint or tarmac sealer and although it can offer some protection to the surface of your tarmac driveway, its main benefit to most householders is that the driveway will look better. 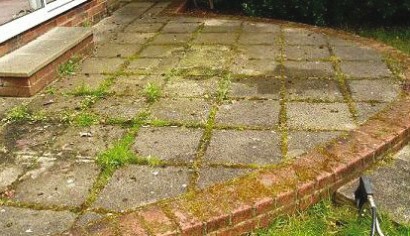 Before tarmac restorer is applied, your driveway should be completely clear of moss, weeds and algae. Cracks in the surface of your tarmac driveway should be sealed with bitumen paint and any pot holes filled with fresh tarmac. Tarmac restorer is applied with a roller and it soaks into the tarmac surface to replace lost resins, making the surface water resistant again. 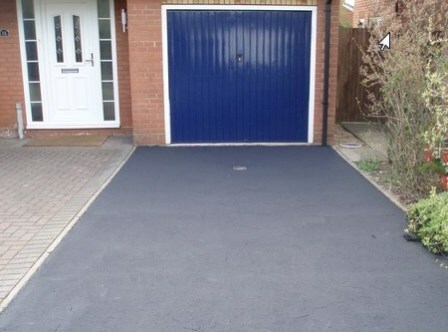 Tarmac restorer will work best if your driveway is not too badly damaged with deep cracks and potholes. This is because the thin layer of tarmac restorer cannot be expected to cover up bad marks in the surface. For tarmac driveways which are too bad to be treated with tarmac restorer but not bad enough to be completely replaced, often a 30 mm resurfacing will be the correct option.